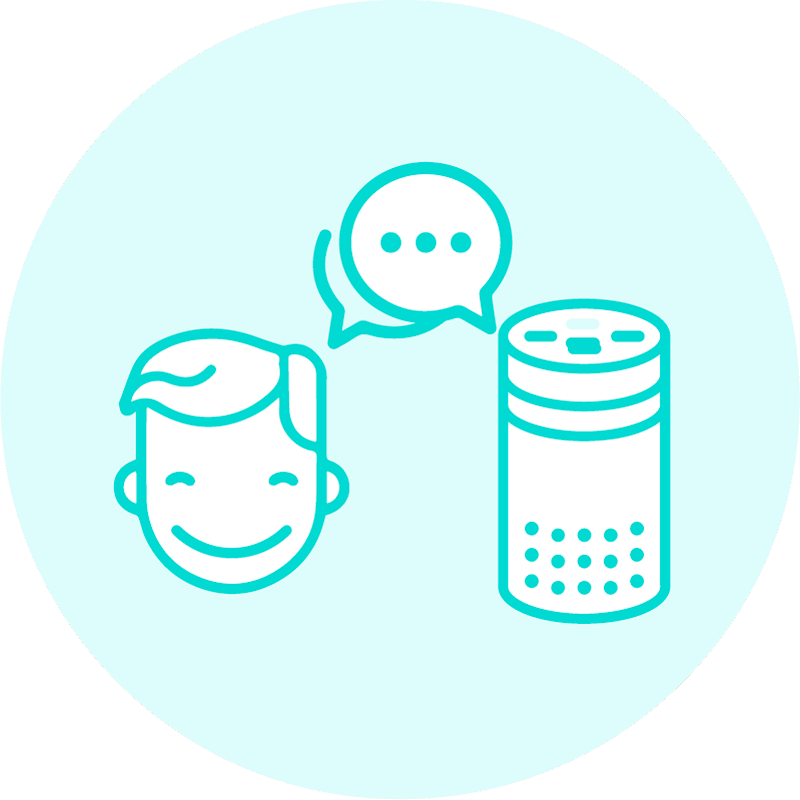 Bespoken and Deako collaborated to establish best practices for automated testing and monitoring of Home Automation devices controlled via voice. The process is innovative but also easy to implement. 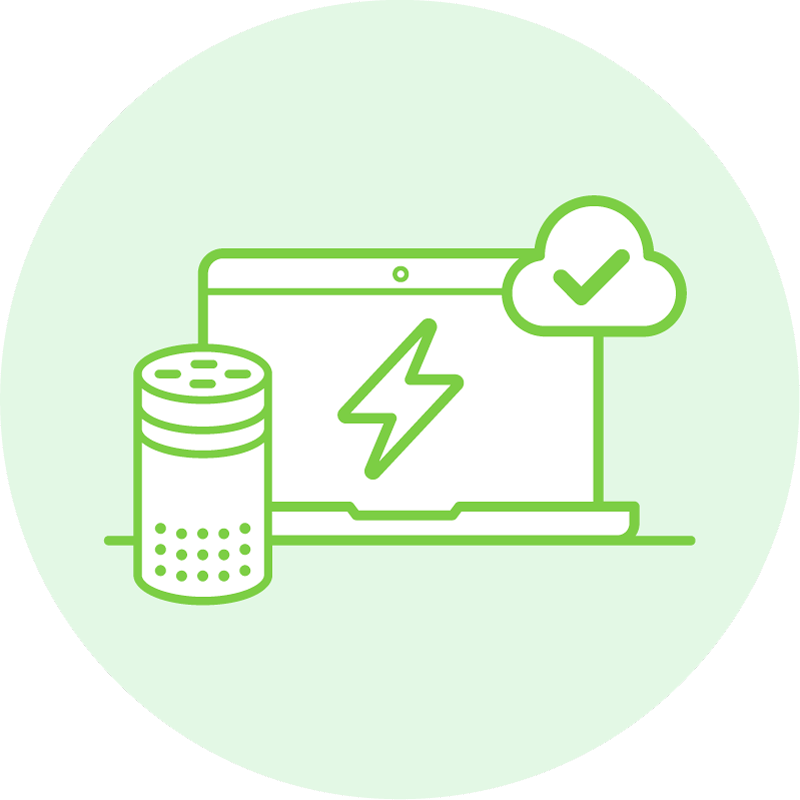 Our case study describes the approach taken - as well as provides links to our super-simple Smart Home Skill Testing sample project. Learn more below! Deako is one of the leading providers of smart light technology. They offer beautiful, highly functional smart switches. They are modular too – Deako switches and dimmers can be installed as plain-vanilla switches at construction time, then swapped out with smart switches upon move-in. For home builders, it’s the best of both worlds – smart-home enabled houses without the extra expense. The Deako smart switches work with Alexa, Google Assistant, and other home automation platforms. Deako wanted an automated, continuous and comprehensive way to ensure their smart switches were working correctly. 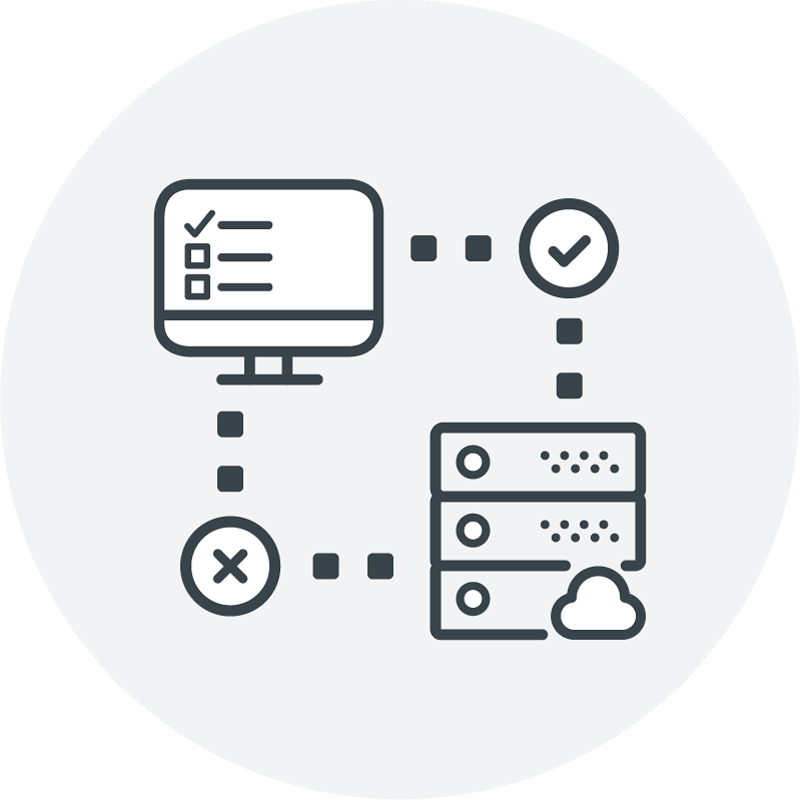 To accomplish this, they put together an innovative solution that leverages Bespoken’s API with their own testing process and APIs. The solution is as high-tech and streamlined as Deako’s lighting. 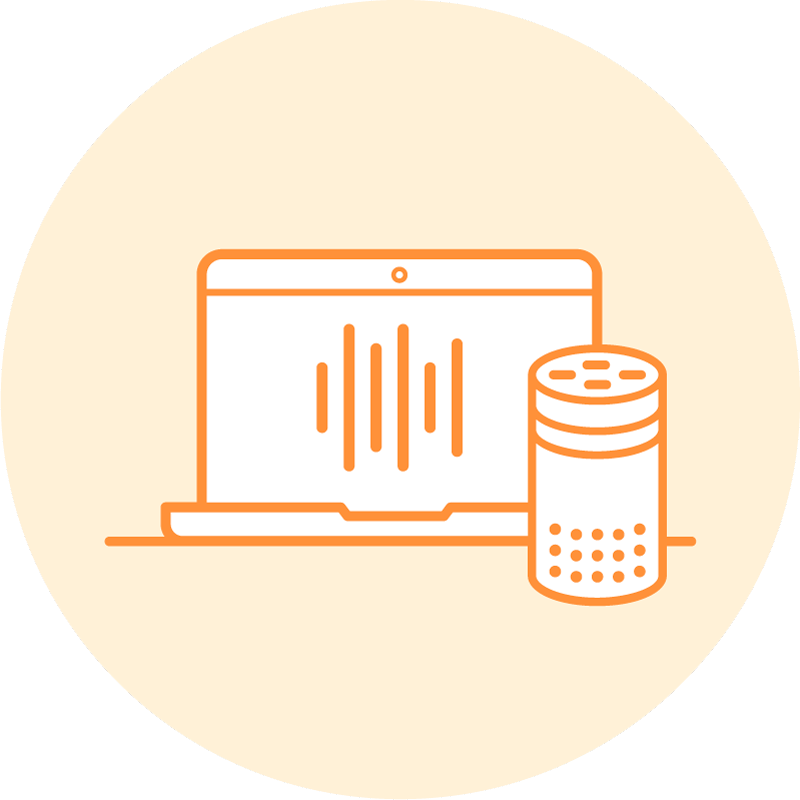 Calls the Bespoken API to interact with Alexa. It will issue commands like: “turn off the hallway lamp” – the names such as hallway lamp correspond to devices that are used for testing. 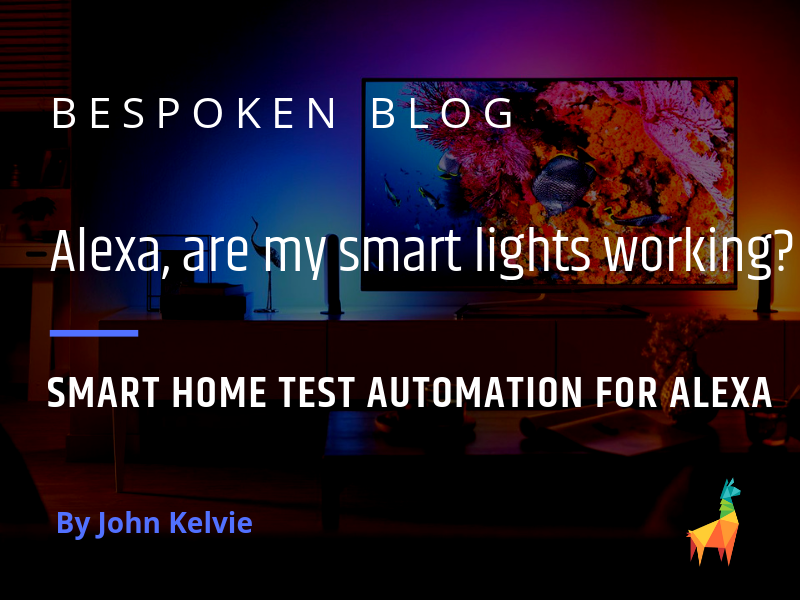 Calls the Deako SmartHome API to confirm the device did what it was supposed to – it’s not enough that Alexa says: “turned off the lamp” – it’s important to confirm the entire workflow as part of an end-to-end test. 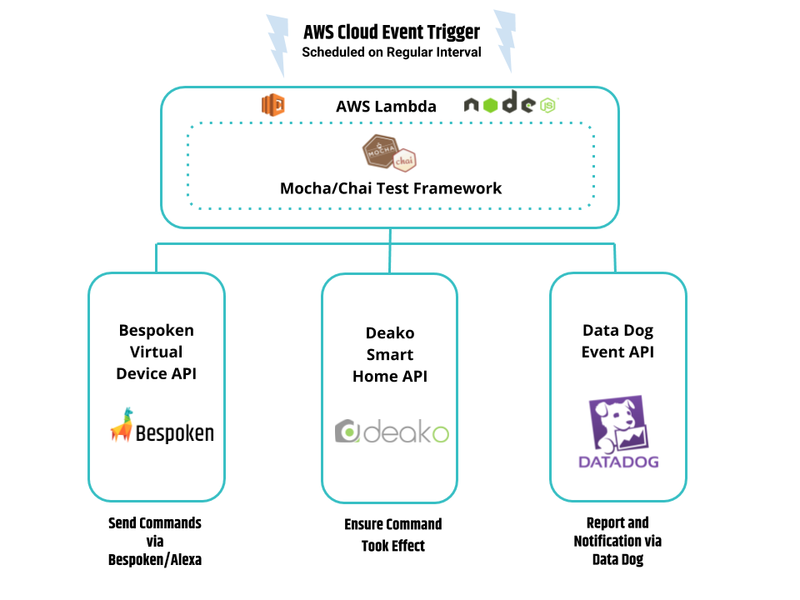 Send the status of the test to DataDog – the results can be visualized over time, as well as notifications can be easily configured to alert developers if there are issues. The tools from Bespoken have made things easy. We were able to get setup quickly – we got an initial integration done in less than an hour, and it took less than a week implement what we consider to be best practices for testing our devices. 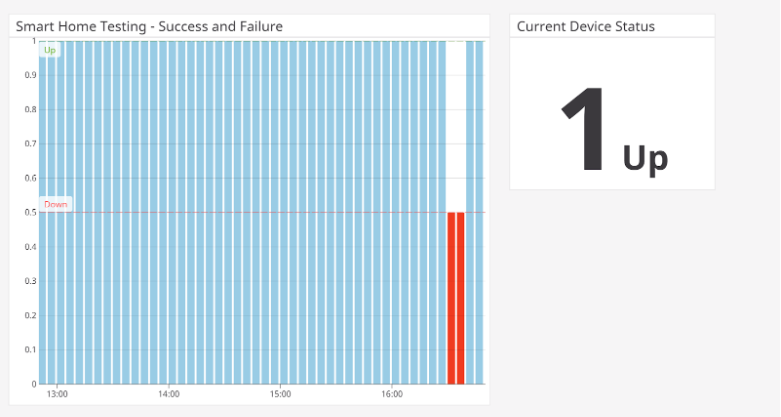 The testing and continuous monitoring has reduced downtime and helped improve quality, as well as help our support team be more responsive when there are outages.